Special! 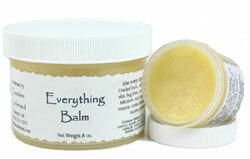 Buy an 8 ounce Everything Balm and and get 2 ounce Everything Balm for FREE!! website designed by Cherie Copyright 1999-2017, Goodies Unlimited. all rights reserved.